"Truth can be dangerous...Trust can be deadly." Giving up dreams of becoming an independent computer programming, a young man decides to use his tech talents at a rich corporation. Just when everything seems too good to be true, friends start disappearing, and his suspicions become a reality. The man must figure out who is betraying him, how to stop the powerful company from ruining his life and release free technology to the world. An all-star cast leads the thriller that contains multiple twists and messages still relevant to today's society. 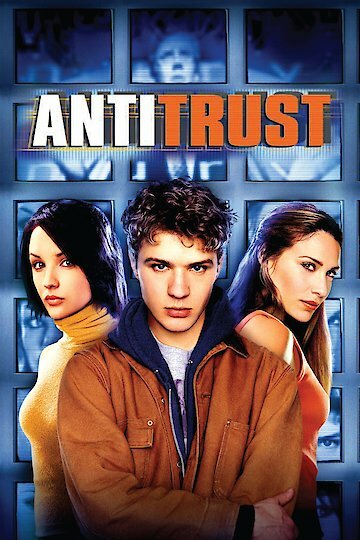 Antitrust is currently available to watch free on Tubi TV, The Roku Channel, Vudu Free, YouTube and stream, download, buy on demand at Amazon Prime, Vudu, Google Play, iTunes, YouTube VOD online.